It could be several years before the Navy can deploy persistent, around-the-clock surveillance using its new high-flying surveillance drone. The MQ-4C Triton, a cousin of the Air Force’s RQ-4 Global Hawk, is capable of flying at altitudes of 50,000 feet for over 24 hours providing persistent intelligence surveillance and reconnaissance in maritime environments. Last November contractor Northrop Grumman announced it delivered the first of two Tritons to the Navy for operational testing. 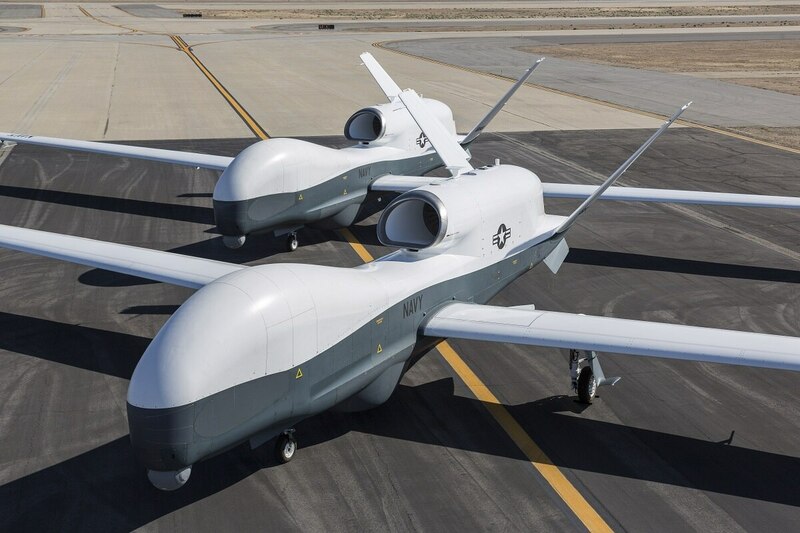 These two aircraft, following a series of operational tests at Point Mugu, California, will be delivered to Guam and perform ISR missions for the Navy’s 7th Fleet in the Pacific. Northrop Grumman announced it delivered the first operational MQ-4C Tritons to a Navy facility at Point Mugu. Navy officials have said to provide an orbit of Tritons — a 24/7 persistent ISR capability over a target — four aircraft are necessary. This won’t happen in 7th Fleet until the 2021 timeframe. The aircraft that will be delivered to Guam are what the Navy is calling a baseline capability and 7th Fleet will not receive additional Tritons until the 2021 timeframe when the service seeks to equip forthcoming Tritons with a raft of intelligence payloads. This so-called “multi-int” capability will take over for the retiring EP-3 surveillance aircraft. In terms of other theaters, Capt. Dan Mackin, program manager, for the Navy’s Persistent Maritime Unmanned Aircraft Systems Program Office, told reporters at the annual Sea Air Space conference in National Harbor, Maryland on April 9 that locations next in line for the orbits will be Sigonella, Italy; 5th Fleet based in the Bahrain; Mayport, Florida and Whidbey Island, Washington. Fifth Fleet is currently operating the Broad Area Maritime Surveillance—Demonstrator, or BAMS-D, a capability based on the Global Hawk that was intended to be a short term demonstrator, but has been in such high demand that it has been operating in theater for over seven years. One of the critical tasks the Triton will perform is a cooperative mission with P-8 Poseidon surveillance aircraft. Mackin said that the P-8’s primary mission is anti-submarine, which makes its additional ISR role difficult to perform simultaneously. The Triton, he noted, will fill that role by performing high-altitude ISR while the P-8 performs anti-submarine warfare. Operators of both platforms have the ability to chat and collaborate during these missions.